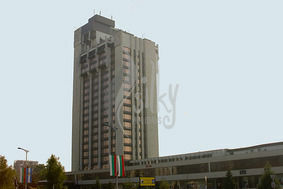 Address: Plovdiv, 97 Bulgaria Blvd. Accommodation: Hotel Sankt Peterburg offers 160 business category double rooms and 105 luxury studios - large open, comfortable and peaceful, attractively furnished and decorated with air- conditioner, mini-bar, telephone�s connection with all over the world, satellite TV. Wine & Dine: The main restaurant offers 500 seats, on two levels, exclusively comfortable, offers all kinds of delicious specialties from Bulgarian and European cuisine. The rich menu, fast and excellent service can satisfy each guest�s personal needs. Classical business restaurant with 100 seats. The pleasant atmosphere, the perfect conditions and the professional service can satisfy everybody�s taste.